China's future largely depends on these students. "China's future largely depends on these students," said Xie Chuntao, vice director at the teaching and research group of the history of the CPC. Like all his colleagues, Xie is highly aware that his students are quite different from ordinary school students. In past years, Xie Chuntao has seen many students promoted to higher positions or even to the Central Committee of the CPC, while at the same time, he is also sorry for a few that have been put into prison for discipline violations. Engaged in teaching for nearly two decades, Xie Chuntao admitted that he now felt more pressures in class, because plenty of his students are very well read regarding the CPC's development. Several other veteran teachers at the school echoed Xie's words; they were astonished by their students' fast progress. In the late 1970s and the early 1980s they recalled that most students were merely middle school graduates but today, however, students hold a bachelor's degree at least and over 30 percent hold a master's degree. "Years ago, students seemed quite content with my historically accurate lectures but nowadays they want profound insights into historical events," Xie Chuntao said. "They all expect me to teach something helpful in addressing daily problems." With the country's fast economic and social development, officials now face more challenges than ever before. They have to make every effort to introduce investment, boost local economic development, and sort out social problems that have cropped up in the course of over 20 years of reform and opening up. In 2007, local officials in several places have experienced an unprecedented crisis of confidence. A case in point is the "nail house" issue in southwest China's Chongqing. A couple refused to move elsewhere when their house was targeted for demolition by the local government. The issue aroused heated discussion nationwide. After the SARS outbreak in 2003, Jin Wei, a professor at the teaching and research group of scientific socialism, hosted a lecture on public health and social crisis. Initially, the course was an optional elective. One year later, it was designated a compulsory subject for prefecture-level officials because of the great interest displayed by the students. Great changes have taken place regarding the school's curriculum. More than a decade ago, given the educational background of students, the school prepared classes on history and geography in addition to classics of Marxism and Leninism. Nowadays, such courses are replaced by opera appreciation and diplomatic etiquette. Case analysis is most popular subject in class because students at this school are always rich in practical experiences. 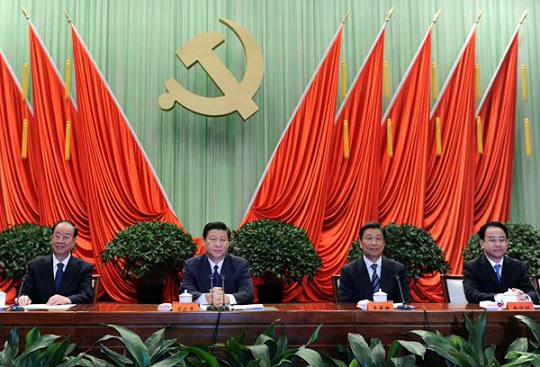 Xie Chuntao once held a discussion on the famous Party meeting convened in Lushan in 1959. "Everyone participated in the discussion enthusiastically and they showed a profound understanding of inner-Party democracy and inner-Party surveillance." According to Xie, students today share common views on reform, opening-up, market economy, and the improvement of democracy and the legal system, while two decades ago, officials tended to hold different opinions and debated heatedly on such issues.